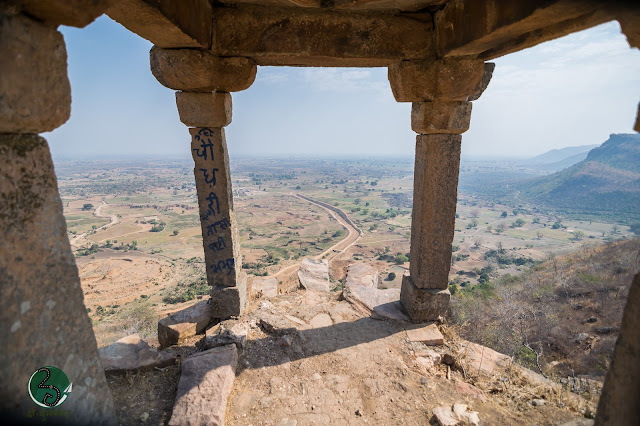 Situated about 32 kms south-west of Sasaram, Shergarh is a natural hill fort amidst gorgeous scenery with the top of the rock having a natural rampart well-fortified by a number of bastions and bulwarks. 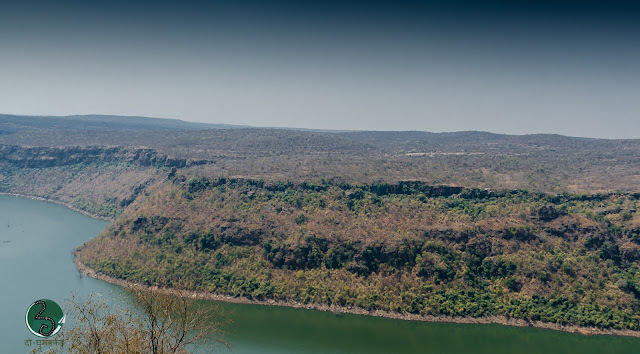 Connected to the main plateau from one side only and protected by two sides by the river Durgawati, the ascent to this fort is not motorable. 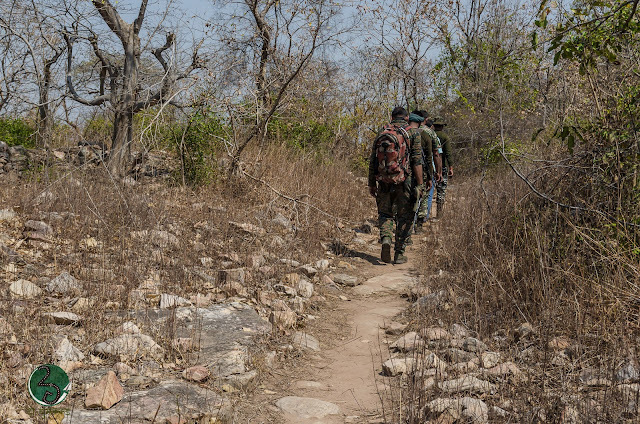 One has to disembark from the vehicles at Badalgarh, then walking for about 1 to 1.5 kms, one reaches the foot of the stairs that lead up to the fort bastions. 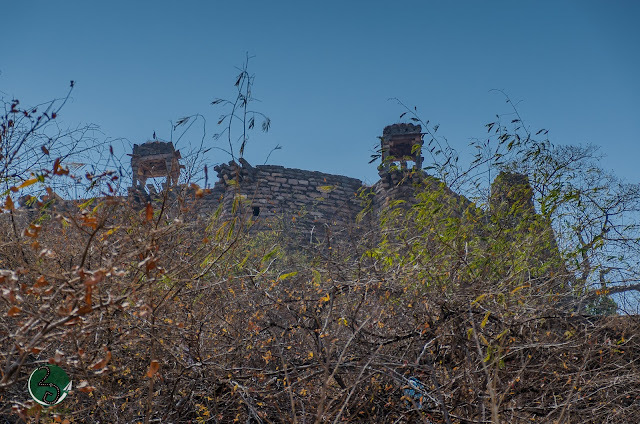 The grand fortifications of Shergarh fort are visible from a distance as one approaches it. Passing through the mesmerising sceneries, giving a feeling of being in an abandoned and ruined forested settlement, as no proper buildings are visible in the vicinity, one reaches the first bastions, which still retain the glory of the bygone days, and you will start envisaging the scene of a few centuries ago, when the fort was buzzing with activities and sentries on the bastions keeping a close eye on the movements. 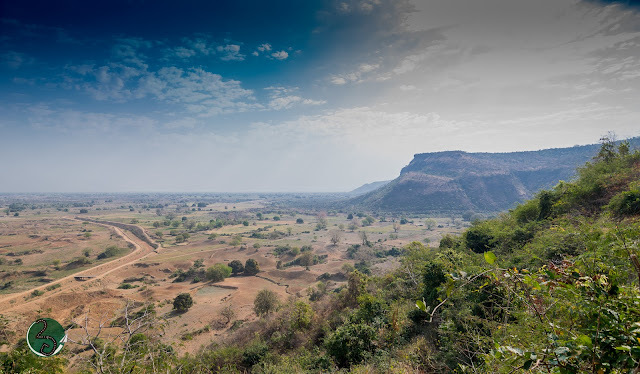 In absence of any concrete knowledge about the history and origin of Shergarh, Francis Buchanan, who was first to visit this place in 1813, assumed without much basis that it may have been constructed by Sher Shah after his fortification of the Rohtasgarh Fort. The same assumption has prevailed in the writings of Bloch and Kuraishi on the subject, which however, does not seem to represent the actual facts. Even a lay visit to the Fort makes it quite clear that the very erection must have taken considerable time and would not have been possible in the five years of rule generally ascribed to the Afghan ruler. Finally, an indication of the earlier history of Shergarh is given in the Gazetteer of Shahabad (1966), in which P.C. 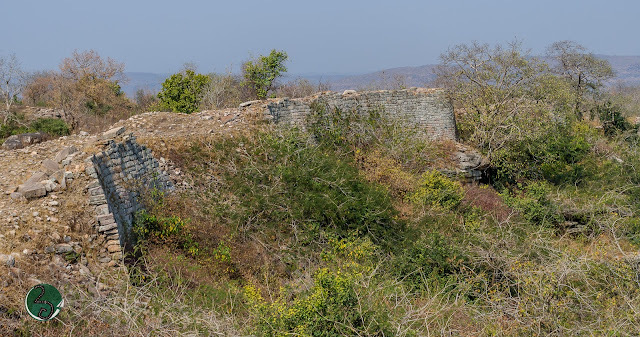 Roy Choudhary clearly mentions that the origin of this fort is a mystery and that a casual remark of Francis Buchanan probably inspired by the name of Sher Garh, led to his doubtful theory that Sher Shah had built this fort, which appears to have persisted. 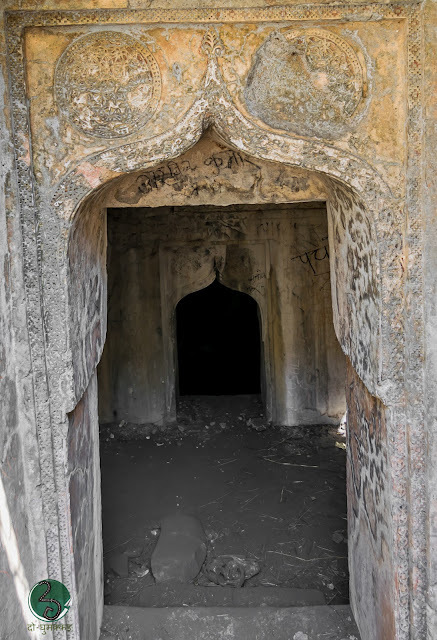 He has reasoned out that the fort had existed from before and was the stronghold of the Rajput chieftains, who held Shahabad before Sher Shah, and that it thereafter came to be known as Sher Garh because of Sher Shah’s personality. 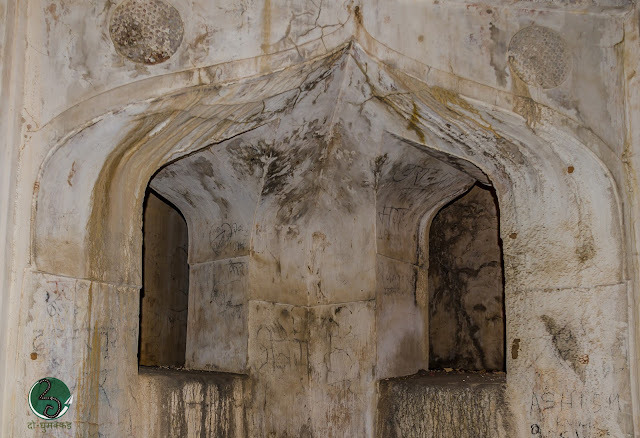 As Sher Garh does not contain any inscription ascribing its erection to Sher Shah, and nor has any building symbolic of his rule, he found it intriguing that Sher Shah would built this fort without leaving any inscriptions or representative buildings. Also, the drawings and scrolls on the conglomerate along with the underground dancing hall do not typically represent Sher Shah’s legacy; his being known as a pious and orthodox Muslim with sturdy and austere character. P.C. Roy Choudhary thus reasons out that in his very brief span as a ruler, Sher Shah after capturing Rohtas Garh might have turned his attention to the existing fort of Sher Garh, ideal as the second line of defence. 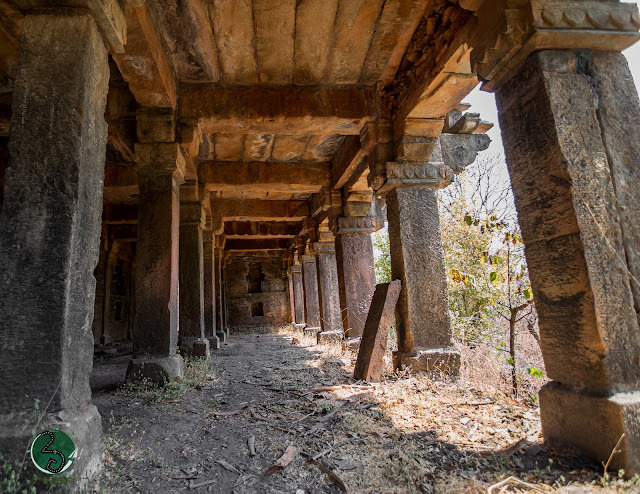 It is also said that, around 1400-1500 years ago it was originally the fort of Kharwar dynasties. There were three rulers of Kharwar clan ruling from Rohtasgarh, Shergarh (now a days name) and Sarkigarh. 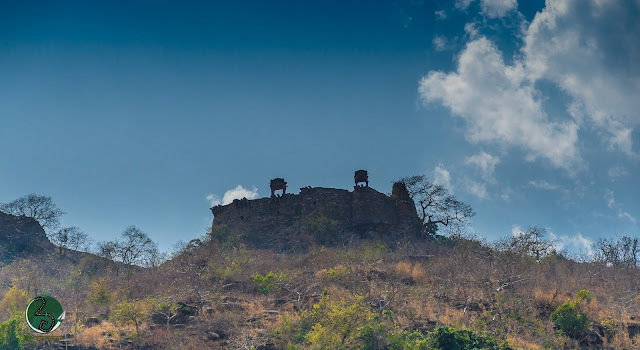 Bhurkuda king used to rule from this mysterious fort. In 15th century, Bhojpur King Raja Gajpati Singh defeated the Bhurkuda's and established their kingdom here. In 1537 when Humayun sezied the Chunargarh from Sher Shah, then he fled here and asked Raja Gajpati Singh to give this fort for shelter of his families and soldiers. Raja Gajpati Singh acceded that request and from that time this fort became famous as Sher Garh. It is also said that after the war with Mughals, thousands of men and women died inside the fort. And from then Buchanan says this fort is cursed and abandoned till now. 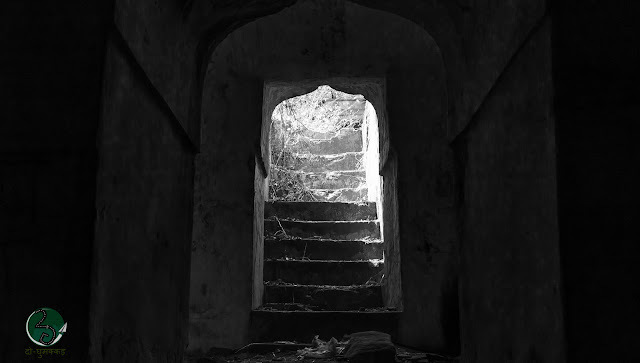 After climbing through twenty-eight feet wide stairs constructed the whole way with awesome skill, forming short flights from one corner of a zigzag to another, easing the ascent, one reaches to the main entry gate of this fort. The entry gate to this fort, encircling about six miles of area, is so grand and striking, that no one can trespass it. The main gate opens out into two large covered halls supported by pillars and either of them could accommodate about 1000 persons, as mentioned by the Gazetteer. Further flight of steps leads to a small gate, also in ruins, which was once elaborately decorated with carvings. The palace buildings are arranged around two courtyards, of which the larger one was called as Bada Angana and the smaller one as Chhota Angana. The larger court is surrounded by a series of oblong rooms, meant for the attendants, galleries with covered stair and a set of ladies chambers in the middle of each side. Some of the door jambs are seen with elaborate carving in geometrical designs. The roofs are flat, supported on pillars and brackets. In the centre of this larger court is a tank. On entering the larger court, the first thing that strikes is the near absence of over-ground structures. 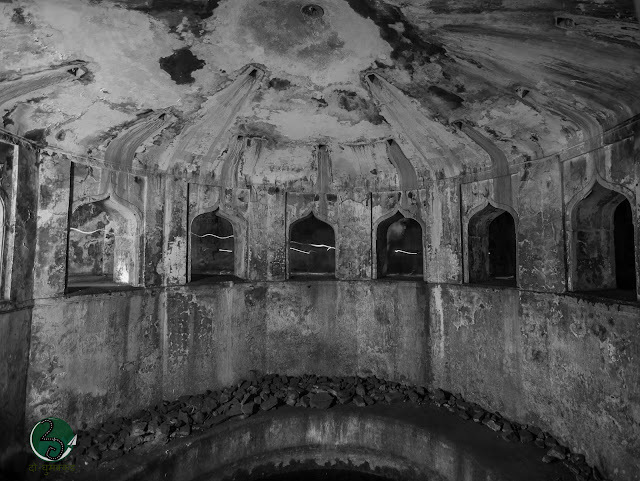 However on a careful perusal, one notices the hidden passages to the underground chambers within. Standing on a level ground, as one discovers the underground passage, one realizes that one is actually standing on a hidden group of chambers within. Referring to this, Buchanan described that the area formed the roof of a number of apartments which had no light or air except through some small apertures in the terrace. The passages into some being filled up, he had descended into two of them by “wretched stairs”. A first-time visitor even today can miss these chambers, if not acquainted with their existence. The purpose of these underground chambers is not fully established, and they do add to the mystery surrounding the place. 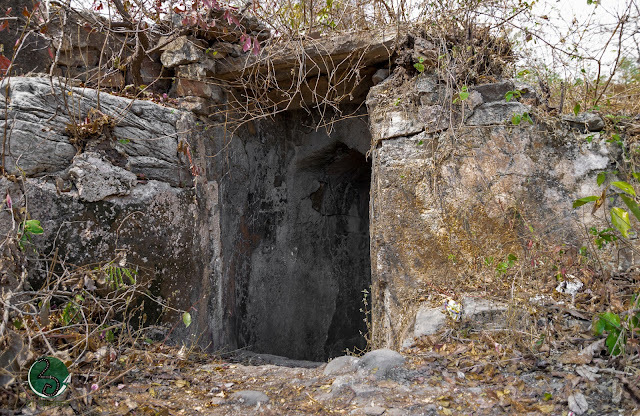 Buchanan suggested that these underground chambers were meant for the accommodation of ladies in the time of a siege and as cool resorts in hot weather; but Kuraishi took them as store rooms. In view of the strong plaster on their wall which had not suffered in the least till when Buchanan visited Shergarh, there is reason to believe that they were used for residential purposes. 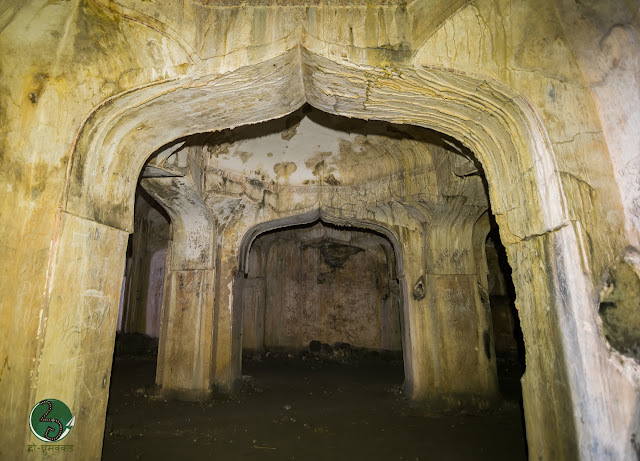 Nach-ghar or dancing hall measuring about 48’x45’, in the south western corner consists of a 24’ square chamber surrounded by a 8’ wide verandah and lighted by arched openings on all the sides. 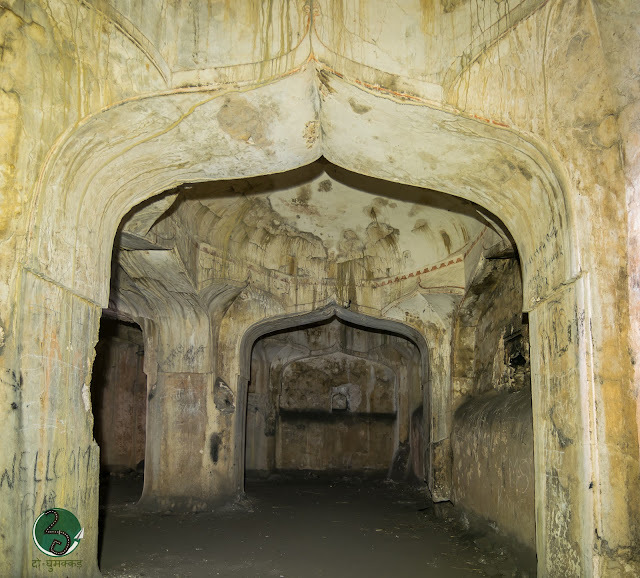 Raniwas in north-western corner, perhaps meant for the chief lady of the harem, consists of a larger chamber, 59’x37’, with a narrow gallery on its east, and covered by a series of domes and vaults, supported on masonry pillars, and provided with square ventilators at the top. 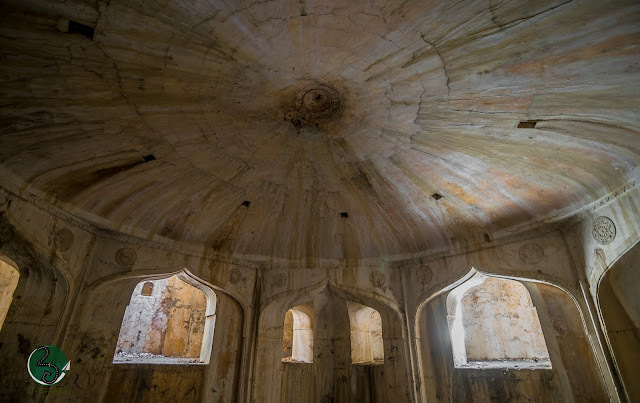 Chhota Raniwas to the north of the tank or to the east of the Raniwas as above, consisting of a small domed room only, but with a very fine plaster. Several aspects of this fort including the date of its first construction and the builder still remain mysterious. 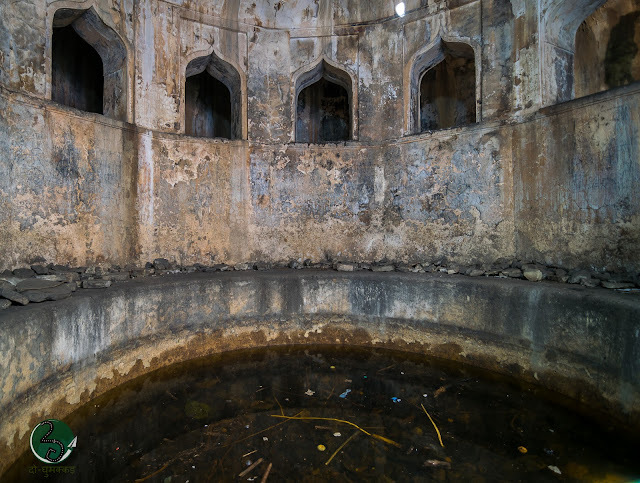 Adding to the mystery are the several underground chambers that the Fort possesses, the remnants of which indicate very superior engineering skill. The mystery is deepened by the remains which lie buried under the debris and the jungle, which have the potential to spring major surprises upon proper excavation. The site is neither properly protected and nor have proper excavations have been carried out. 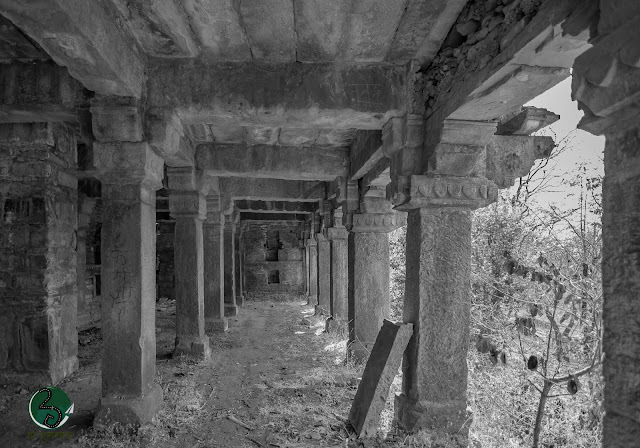 The last published Gazetteer of Shahabad (1966), has remarked that the ruined fort being a wonderful piece of nature’s handiwork, human skill and architecture, is a beauty spot but seldom visited. The site of Shergarh has rather been unfortunate since despite the unique features, it has never emerged as a tourist destination. No significant subsequent examination seems to have taken place, and perhaps the place has not been excavated at all. It lies unprotected left to decay at the hands of the various vagaries of nature. The ramparts and the bastions are fast decaying and the first gate will now not stand its own for a long time. The beautiful courtyards with the pillars having very delicate and artistic designs, are full of jungles and snakes. The fort chambers have often been used by the outlaws for shelter, and since they are seldom visited by even the law enforcers, they naturally provide a safe shelter. The future too of the site of Shergarh doesn’t appear bright as for almost two hundred years since Buchanan had noticed it, hardly much has changed. 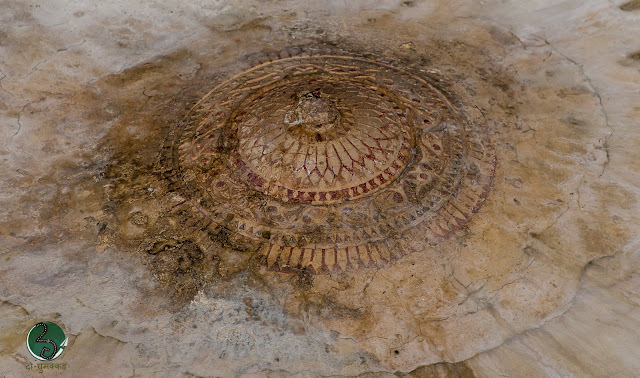 The site badly needs strong measures for its conservation, even more than it needed two centuries earlier, if the remains are to be preserved for the benefit of the upcoming generations. A proper study also needs to be made about the origin and the history of the fort. 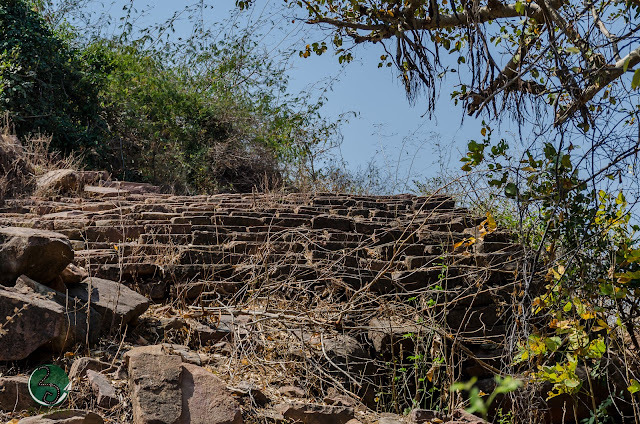 A clearing of the jungles which are eating into the bulwarks of the fort, needs to be taken up urgently along with restoration of the main ascending stairway. It is sure that proper excavations will definitely enlarge our scant knowledge about the history of this region. And that would also serve as an actual tribute to the author of the Bengal List, who in 1896, had lamented about the lack of much knowledge about this mysterious yet grand fort. P.S: All the above contents are inspired by Silent Pages India, a complete blog to understand historical legacy of India by Vikas Vaibhav and excerpts of conversation between Gargi Manish and Dr. Shyam Sunder Tiwari, whose intensive research for Sasaram, especially for Rohtas will be remembered forever.